If you have any question about Bali, we are always happy to share our knowledge, just give us a ring! Seminyak vilas are the most popular because they are located within walking distance of the island’s best restaurants, trendy cafes and boutiques, as well as the beach. If you are looking for larger villas and less expensive options, the following locations are a 10-20 minutes drive from Seminyak: Canggu, Legian, Kerobokan and Umalas. For those who want white sandy beaches and world class surf spots, we recommend staying in Uluwatu or anywhere on the southern Bukit Peninsula. Book a Ubud villa if you are after the “Eat, Pray, Love” experience, or simply if you want to experience delicious organic and raw food, UNESCO protected natural sites, meditation and yoga classes taught by masters, and access easily many of Bali’s unique temples. To escape from the crowds, head East or North. Life there is slower and villas all beautiful. If you are coming for a week, we usually recommend booking a private villa in the South or the center of Bali and exploring the island with a few day trips. If you have more time or don’t mind moving around, our villa consultants will be happy to create a unique itineray for your trip taking you, for example, from Seminyak in the South, to a villa Amed in the East or Pemuteran in the North, and finally to the heart of the island in villa in Ubud. Contact us now for help. We know Bali and our villas like the back of our hand. Our agency has offices worldwide and consultants dedicated to customers in the UK. To make the process of hiring your villa as easy as possible, we designed our website with prices in pounds, you can reach our team directly on a local phone (+44 2 033 933 883), and make a payment to our local bank account at the Royal Bank of Scotland in London. 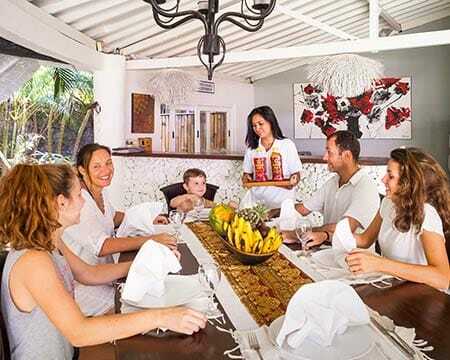 We have received more than 2,000 British families with their Bali villa holiday, we know exactly what you're looking for and we provide the same service you would expect back home in the UK. Our villa experts inspect the villas we work with on a regular basis. We like surprises, but only the good ones! Our goal is to save you the time that it takes to vet each villa individually. We have done this busy work, you simply have to tell us what you are after and we will send you a personalised shortlist of villas. We are available every day of the week (including weekends), so contact us now! Quality is important, but so is price. We guarantee our prices are the lowest. We do not add any booking fee and show prices all taxes included, once again no bad surprise. Our travel consultants will answer all your questions and give you 3 days to make a decision. Once you are ready to confirm, you will be invoiced by Villa-Bali.com (registered company since 2007). You can pay in GBP at our local Bank of Scotland bank account, no costly international needed. We believe in service: our concierge team will be there at your arrival and during your stay. They can arrange any activity you fancy from in-villa massage and dining, to day tours and spas, or even babysitting services. Simply let us know what would make your holliday perfect, and we will make it happen!